After great success of my first Free Magnetic Strip Card Template, I created this updated Plus version that includes a “Signature” Card template, EMV chip, and two new background additions. 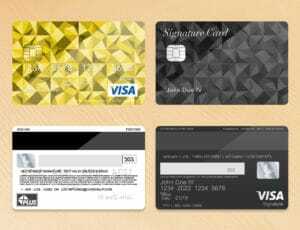 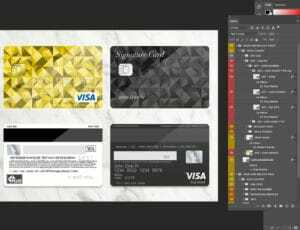 The card templates are based off of a Gold Card level and Black Card level member status designs. 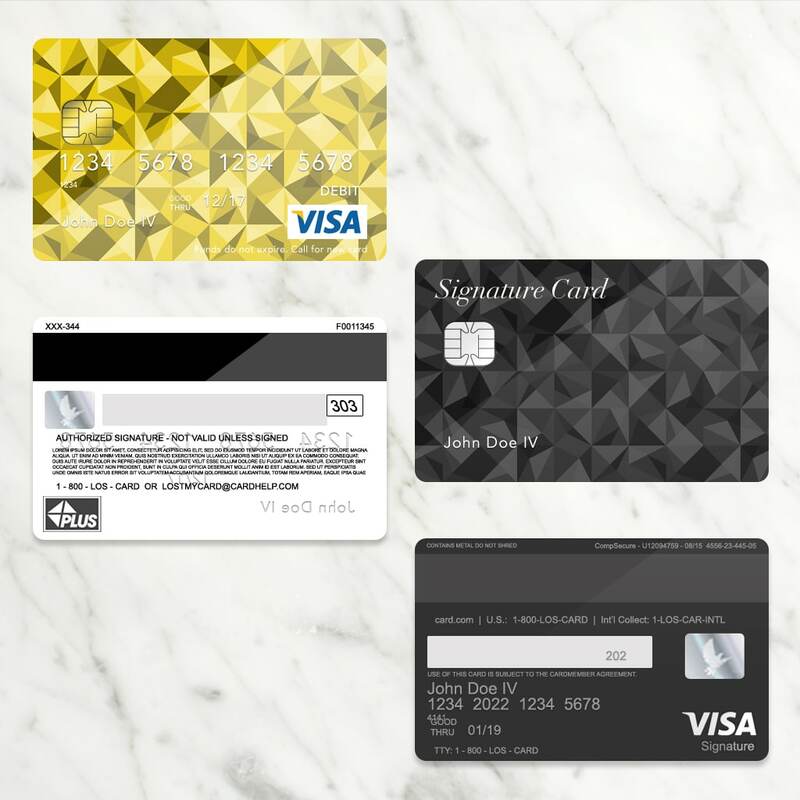 The Black Card takes its inspiration from the CHASE Sapphire Preferred card style.